I love the summer time because fruit is so plentiful. 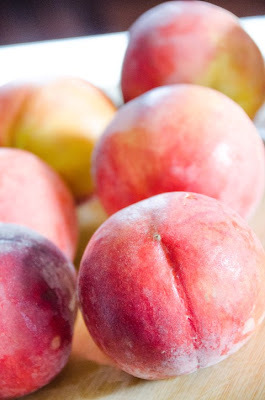 Each year, we get hundreds of peaches from our peach tree. This year was no exception, except we didn't spray enough and ended up with "interesting" things inside and outside of our peaches. Instead of worrying about what we would bite into, we decided to throw them all out. That being said, I still had my peach craze and couldn't decide for the longest time what recipe I would try out this year. 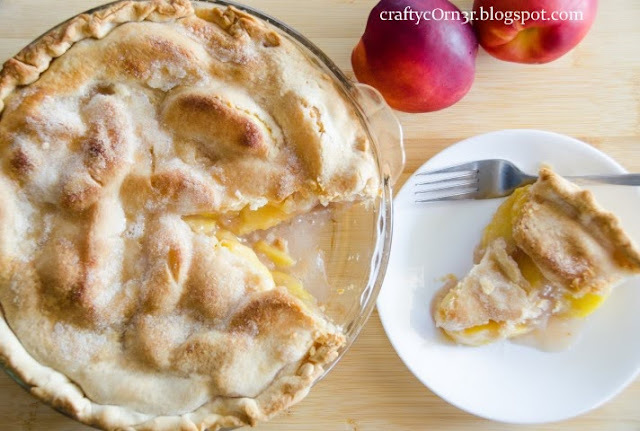 Last year, I made peaches cream pie with our peaches. 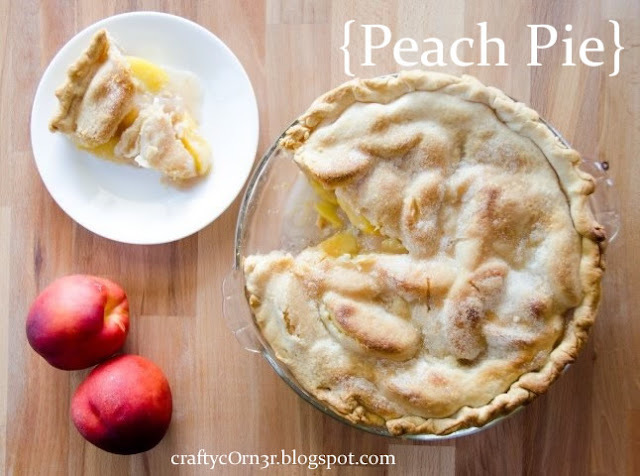 This year, I wanted to either make a peach cobbler or just a plain old simple peach pie. 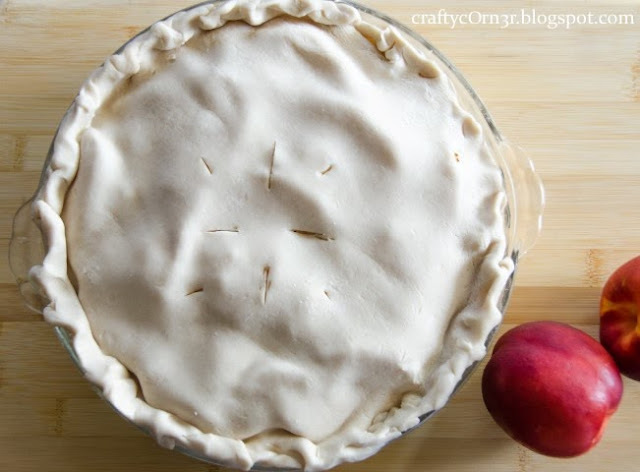 Looking at recipes, I decided to make a peach pie because I already had all the ingredients. How did it turn out? DELISH! I modified this recipe. Stir together flour, 1 cup sugar, and cinnamon and set aside. 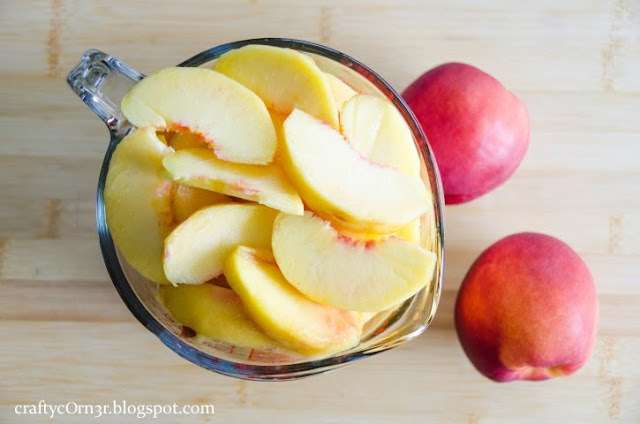 Wash, peel, and slice fresh peaches. 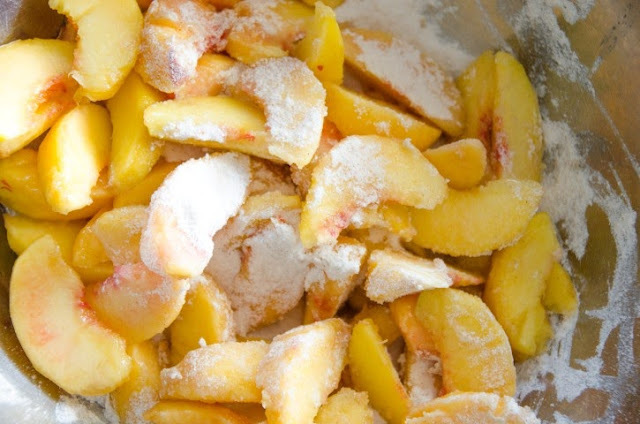 Mix together peaches with the combined dry ingredients. Turn into pastry-lined pie pan and dot with butter. Cover with top crust, cut slits in it, seal the edges. Sprinkle top with 2 tablespoons of sugar. Cover the edges with foil to prevent over browning; remove foil for the last 15 minutes of baking. Bake 35 to 45 minutes or until crust is brown and juice begins to bubble through the slits in the crust. It was sOoOo GOoD! The filling resembles an apple pie filling. 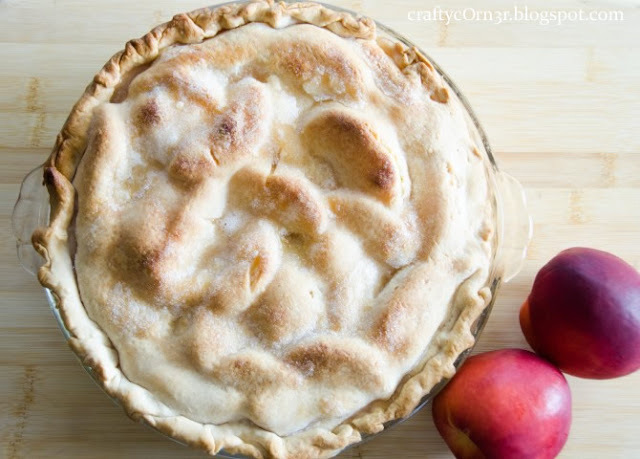 It is sweet, creamy and the hint of cinnamon brings out the peaches. The extra sugar on top sweetens the crust and makes it a tad bit flaky which is how I like it. This recipe is definitely in my keep pile. I'm the only one that eats fruit pies in my house. I haven't decided if that is a good thing or bad thing. That's a lot of pie for lil o' me, but that's all right. 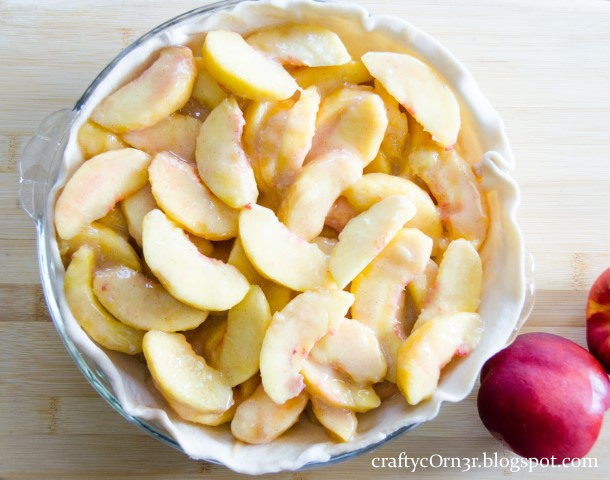 I'll gladly forgo a meal for a slice of this peach pie.